An amped-up horticulturist holds forth on deadly stuff you can grow in your own backyard. In the second edition of our podcast partnership with Nerd Nite Madison, UW-Extension horticulturist Christy Marsden delivers a blister primer on how plants kill people and, more importantly, how people kill each other with plants. 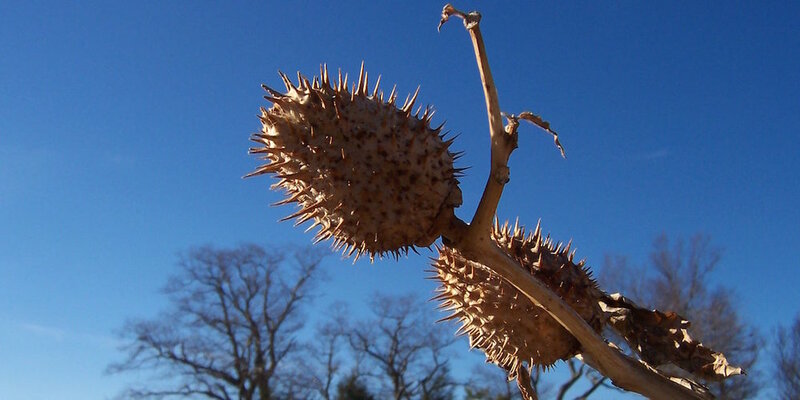 Recorded at Nerd Nite's August 26 installment at the High Noon Saloon, Marsden's talk covers the finer points of ricin poisoning, plants that have harmless parts next to deadly ones, prisoners in Janesville trying to get high on jimson weed, and even poison honey. Before the talk itself, you'll hear Marsden in a brief postmortem discussion with Nerd Nite Madison organizer Ben Taylor. You can also peruse Marsden's presentation slides below if you're into that kind of thing. The next Nerd Nite Madison is Wednesday, August 30 at the High Noon. We'll be there to record more of these talks and we'll have some Tone Madison buttons and stickers to share as well. Sep 25 New shows: Baroness, Tales From Planet Earth film fest, and more.